I'm not nearly as pessimistic as you seem to be. I reckon we'll continue generating fresh content for millennia to come. Ideas are plentiful, and new combinations thereof even more so. Leave them alone, and they will come home, wagging their footnotes behind them. 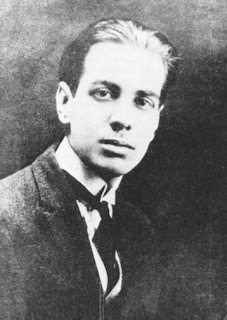 The French poet and critic Pierre Menard (d. 1939) has left us a small and largely unremarkable body of works, save for one that is of peculiar but enduring interest - a contemporary critic called it in fact ‘perhaps the most significant writing of our time’: his fragments from Don Quixote. 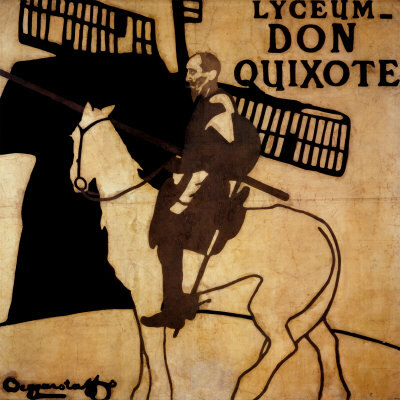 In this undertaking, Menard set out not to update or revise Cervantes’ source, that is to say write a contemporary Quixote, but rather compose the Quixote itself, and not simply by copying it, either, but rather by producing a number of pages which coincided word for word and line for line with those of Miguel de Cervantes. Initially, Menard's method was to be relatively simple: Learn Spanish, return to Catholicism, fight against the Moor or the Turk, forget the history of Europe from 1602 onwards - in other words be Miguel de Cervantes, but he discarded it as too easy. Being somehow Cervantes and arriving thereby at the Quixote: that looked to Menard less challenging (and therefore less interesting) than continuing to be Pierre Menard and coming to the Quixote through the experiences of Pierre Menard. ...truth, whose mother is history, rival of time, depository of deeds, witness of the past, exemplar and adviser to the present, and the future’s counsellor. History, the mother of truth: the idea is exceptional. Menard, a contemporary of William James, defines history not as a delving into reality but as the very foundation of reality. Historical truth, for Menard, is not “what happened”; it is what we believe happened. The final phrases - exemplar and adviser to the present, and the future’s counsellor - are brazenly pragmatic, and yet so richly suggestive for those who seek to understand what came after, the postmodern and our most troubled dealings with history and the past. But Menard’s example says a thing or two about authorship, as well. 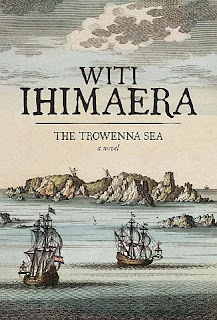 The news media and a fair chunk of the blogosphere in New Zealand have been preoccupied over the last ten days or so by the discovery by Jolisa Gracewood of a number of unacknowledged quotations from various sources in Witi Ihimaera’s latest novel, The Trowenna Sea. When put in front of the list of correspondences found by Dr. Gracewood, Ihimaera swiftly apologised and volunteered to submit himself to arbitration with his employer, the University of Auckland. Yet he was adamant in his contention to the New Zealand Listener that he hadn’t committed plagiarism, but merely a series of ‘oversights’, and the University quickly reached the same conclusion, as did his publisher. We look forward to the second edition - which will no doubt rectify these lapses - and move on, for there is nothing to see here. The discussion at Public Address following Jolisa’s two successive blog posts on the subject (here and here) was decidedly and in some respects surprisingly lively, as were the interjections of some who wished to reflect more broadly on contemporary notions of authorship and originality across different media. More particularly, David Cauchi made a case for painting and Philip Matthews another for film, inviting the rest of the commenters to ponder the following question: are the domains of literature, criticism and journalism clinging to antiquated notions of what constitutes creativity, and how originality should be measured and understood? Plagiarism undermines academic integrity simply because it is a form of lying, stealing and mistreating others. Plagiarism involves stealing other people’s intellectual property and lying about whose work it is. This is why plagiarism is prohibited at Victoria. Intellectual property, that is to say the private ownership of words and ideas: it doesn’t sound like the kind of relationship with knowledge that a place of higher learning ought to foster, does it? Besides, how do you even steal words, or ideas? They are hardly gone after you have taken them. How about ‘lying about whose work it is,’ then? Perhaps that’s the crux of the matter. Producing knowledge requires an effort, is work. If anybody could simply claim the credit for the work of anybody else then the knowledge industry - which is regulated by market relations that monetise this credit in various ways - would cease to function. But surely the social good lies in the knowledge itself, not in its attribution, and besides the example of the anonymous authors of so much oral poetry, traditional music and contemporary street art, it is quite possible to imagine a utopian socialist knowledge industry where ideas circulate freely, thus facilitating and accelerating the production of more knowledge. The text is a tissue of quotations drawn from the innumerable centres of culture. […] [T]he writer can only imitate a gesture that is always anterior, never original. writing is the destruction of every voice, of every point of origin. Writing is that neutral, composite, oblique space where our subject slips away, the negative where all identity is lost, starting with the very identity of the body writing. Now I don't want to reduce these two essays and their peculiar conversation to a couple of easy-to-digest snippets, nor ignore the specific historical and cultural conditions in which they were produced, at a time when what Foucault dubbed 'the-man-and-his-work-criticism' held full sway. But one could legitimately ask: if an understanding of intertextuality and the ideas of the death of the author and the author-function have been around for so long, why haven't they changed the way the publishing industry operates, or forced a rethinking of what constitutes plagiarism in publishing and academia? Is it simply a case of those critics and those ideas having been cast aside? I would say yes, and no. On the one hand, yes, the publishing industry has changed its ways not a jot, nor did Barthes or Foucault themselves to my knowledge ever renounce their name on the cover or the customary protections and moral rights afforded to a published author. Ditto Ihimaera. Hell, even Bansky has claimed these, albeit 'against his better judgment'. But I think more profoundly the idea that authorship and its integrity matter has proved equally as resilient. Pierre Menard himself tell us that we can’t quite dispense completely with it - even as he goes about turning it upside down - by showing how differently we would have to read Don Quixote if we knew it to have been written by a 20th century Frenchman as opposed to a 17th century Spaniard. Of course, you say? Well, yes. But consider how electronic writing and the Internet were meant to change all this, further unsettling traditional ideas concerning just who it is who does the writing and possibly killing the author all over again by circulating near-infinite variations on a near-infinite number of texts without a discernible point of origin, or a shred of attribution. This remains a source of anxiety, but I would argue it really hasn't happened yet. If anything, people who write on the Web have developed a whole new and highly sophisticated sensitivity towards issues of textual attribution and historicity. I've touched in the past by way of example upon the edit history of Wikipedia entries, which shows an attention to intricate philological issues on the part of a writing community that consists largely - and I mean this in the most non-derogatory way possible - of amateurs. The vast majority of bloggers are also very careful to credit their sources, and the manner in which they do so is interesting, for the hyperlinks provided often point to the pages where each discovery took place. It’s only by means of further jumps, following an Ariadne’s thread of sorts, that one is likely to get to the source proper, the location where that particular text came to be. Or not, of course, there’s always the possibility that one or more of the pages might have expired by then, but that for once doesn’t matter: it’s in that pattern of connections, however provisional and unstable, that one can glimpse a new way of mapping the space where authorship and readership come to coexist. I want to talk about this again, and to discuss what the author-function of a blogger, amongst others, might be. I suspect we’ll find it is highly plastic and I’ll go as far as to reserve a word to describe this, authoriety, an empty and extremely-unlikely-to-be-of-any-use-to-anybody term that perhaps some of you might help me fill - I have but vaguest of ideas at present, save for the fact that I think it would be an interesting question to explore. But in the meantime, what of Ihimaera’s indiscretions? Would it even matter that he neglected to credit those sources, were it not for the legal framework within which the publishing industry operates, or the possibly antiquated notions of originality and individuality that we choose to entertain in this particular medium? I think that even under those conditions it does, it would. For crediting a source, the site where some particular words came together in the way that they did, means also preserving a trace of the text’s place within the culture that produced it, of its genealogy. Consider a remote and fanciful future where Menard’s Quixote survived while Cervantes’ didn’t, and furthermore there was no knowledge that the earlier of the two books had even been written. This is the kind of loss - of metadata, of history, of memory - that you would be measuring every day. Jorge Luis Borges, ‘Pierre Menard, Author of the Quixote’, tr. Andrew Hurley. In Collected Fictions (New York and London: Penguin Books, 1998), pp. 88-95. I hardly need to point out that the contents of the post until the cover of Ihimaera’s novel are heavily plagiar… oh shut up it’s a mash up, okay? Anyhow, it’s all from Borges’ story, and it’s only seven pages long, so it’s not hard to figure out which words are mine and which are his (the good ones are his). Go read it. The young man in the picture at the top is JLB in 1921. He wrote Pierre Menard in 1939. Roland Barthes, ‘The Death of the Author’, tr. Stephen Heath (New York: Noonday, 1977), pp. 142-148. The text is available online here. Michel Foucault, ‘What is An Author?’, tr. Josué V. Harari. In The Foucault Reader, ed. Paul Rabinow (New York: Pantheon Books, 1984, pp. 101-120). Both quotations in the post are from p. 101. Jolisa Gracewood, ‘Keeping It Real’, in The New Zealand Listener of November 14-20, 2009, pp. 18-19. Guy Somerset, ‘The Incredible Likeness of Being’, in The New Zealand Listener of November 14-20, 2009, pp. 15-19. Service announcement: I have uploaded on YouTube a video of the ending of The Truce covered in last week's post, followed by the lines that were left out in the film. But more importantly, you really should read the poem that Harvest Bird contributed last night. I'd prefer "interbloggerosity" or "electroliteratalicity", myself. Word Verification: micalve, a lower leg romantically mutated and dashingly pronounced. Subtle and gorgeous meditation, as always. I'm struck by the belated appearance here of the word "genealogy", since a text with our name on it is a bid for, if not immortality itself, at least posthumous longevity. Which is one of the reasons we prize authority (or notoriety, we're not fussy). (NB longevity of the writer or the subject: see also Shakespeare's sonnets 18 and 55, although naughty old Will does not actually put a name to his immortal beloved). There's a vast amount to be said about this, in so many directions, e.g. gender. (Warning: possibly heterosexist, nuclear-familyist, fertility-presumptuous musings ahead, in the course of toying with and reflecting on the metaphor at hand). Does Defoe, and do we, imagine the writer as the one who gestates and gives birth, with the wider culture in the role of doting co-parent and/or handy but off-hand supplier of the requisite supplementary DNA? So we're all jointly responsible for the progeny, yes, but it is still most often the author, not the culture, who finds herself weeping at night over her poor misunderstood child, interceding with teachers, picking up the literary socks from the floor and running them through the laundry, and above all, licking her virtual handkerchief to remove any unbecoming smudges from her wee angel before sending it out to play ("Now be nice to the other novels on the shelf with you, and don't talk to any of those nasty rough book reviewers, darling, they're not our sort"). Sometimes, in the case of an orphaned text, the culture at large takes on that role (Confederacy of Dunces might be such a text). Or the modern writer and culture hire a phalanx of nannies/editors/publicists to take charge, or, here's a thought, an infinite number of infinitely cheaper blog-monkeys to willingly take care of those tiresome chores. And of course the novel will have grand-dad's chin and a great-aunt's dimples and the red hair that's a throwback to some Viking-Irish DNA, and it may also bear an uncanny resemblance to the milkman, whether through accident or design. And of course it will grow up and go off and do its own thing, and be influenced as much -- or more -- by its grubby-fingered peers or its naughty uncle or clever aunt as by the high-minded, well-intentioned parents who dreamt it into existence and gave it that funny name. This is the village it takes to raise a book -- but the thing still had to be laboured into existence by somebody in the first place, whether by quill, keyboard, or scissors and paste. So why are we -- mostly but not entirely the western "we," kemosabe -- all patronymical about our real brats, but violently matronymical, which is to say, author-centric, when it comes to our literary ones? For the moment, I think the notion of genealogy -- and affiliation -- is a clue to why, despite our best theoretical understandings about collective authorship and the impossibility of "originality," and our knowledge of the whimsical and highly contingent history of print culture, we just really like to put our names on things. So we won't die, even when we do. This is also, to borrow your lovely words, the kind of loss that we measure every day. *Daniel Defoe essay known to all good 18th centuryists, but stumbled across by me via Lewis Hyde's essay on the fascinating and relevant question of what to do with orphaned brain-brats. It's probable therefore that this lurking Author (if I may call him an Author who is such a Patcher together of other Mens Arguments) was induced to put this Cheat on the World for one of these Two Reasons: Either because he judged some things he has said here to be too loose and precarious to be publickly owned; or that his own Credit and Reputation was not Basis enough to fix on an abide by. If the former was his Inducement to conceal and falsify his Name, I think he was much in the right on't: And 'tis great pity, that when he was so lucky as to make this discovery, he had not also found out that it had been better never to have published these Essays at all. However, I'm sure 'twas very disingenuous to lat that Brat at a Poor Oxonian's Door, which he was afraid or asham'd to Father himself. -- John Harris, Remarks on some Late Papers, Relating to the Universal Deluge: And to the Natural History of the Earth (London, 1697). Another mind-altering Tiso thought-bite. Jolisa takes the meditation on another episode. I waken, at my desk, wondering where the morning went. >Intellectual property, that is to say the private ownership of words and ideas: it doesn’t sound like the kind of relationship with knowledge that a place of higher learning ought to foster, does it? Tough question. Are Universities only places of higher learning, or are they also involved in knowledge production? If so, then their right to the IP pie seems equivalent to anyone else. >Is it simply a case of those critics and those ideas having been cast aside? Seems more likely to be a 'rearguard action'. >Does Defoe, and do we, imagine the writer as the one who gestates and gives birth, with the wider culture in the role of doting co-parent and/or handy but off-hand supplier of the requisite supplementary DNA? I can only speak for myself when I say "yes". The words, once uttered, are like a child born. The parent takes the most notice and care of them, but ultimately they must be let go, if they are to grow. But when they show up on an Oscar night, we'd certainly like to be the first person thanked. In my own case, a father of a damaged child, the metaphor goes even further - sometimes our words, once uttered, are found to need a great deal of help if they are to flourish. And yet we sometimes find that the damage, the flaws, are gems in themselves, genuine sources of unexpected insight. We can end up loving these words more than the ones we created in a way that we might have originally wanted to. >Sometimes, in the case of an orphaned text, the culture at large takes on that role (Confederacy of Dunces might be such a text). Or the modern writer and culture hire a phalanx of nannies/editors/publicists to take charge, or, here's a thought, an infinite number of infinitely cheaper blog-monkeys to willingly take care of those tiresome chores. LOL, any time I don't nurture my words on the net, I find they have often fallen into bad company - they have been Oliver Twisted. Stealing from a lecture I can barely remember from the 90s, I'd say this post has been Interformative. I can't fully attribute, other than to say the author of this spoken word was a Russian, and that further digging into this history would involve contacting an ex. Word verification: perema, the inside of a foreskin. See "Peremal inversion" - the act of becoming deeply involved in something potentially life-changing. Second word verification upon failure: hedial, primary contact initiated by the male. Very juicy comments that I'll come back to properly in a little bit - but first a service announcement: I have uploaded on YouTube a video of the ending of The Truce covered in last week's post, followed by the lines that were left out in the film. But more importantly, you really should read the poem that Harvest Bird contributed last night. Books in libraries are already organised by category and subject, aren’t they? So I don’t think it would be all that different. But I’m not talking (even in that hypothetical thought experiment) about complete erasure of the author either, just a reconfiguration, a shifting of the priorities, a recognition that the authorship of some texts is a complex matter. And I included the cover of The Trowenna Seas in the post because - while entirely unexceptional - it’s also emblematic. I mean, look at it: Ihimaera’s first name is larger than the title, and the indication of the fundamental nature of the book - a novel - is the smallest thing of all. The publisher is not included at all. I know we’re not supposed to judge a book by its cover, but I have no qualms drawing judgments about the culture that produced that object. So yes, I take your point, we like naming things, but it wasn’t always the case, and it doesn’t have to always remain the case. Bloggers are an interesting example of a possible shift: often they use a handle and various degrees of anonimity but even when they don’t blogs are mostly known primarily by their title, and many of them are written by several authors. On Public Address I appear on Emma’s blogroll as Bat Bean Beam, and on Russell’s as Giovanni Tiso. Elsewhere I’m Bat Bean Beam (Giovanni Tiso). Mostly however you’ll find just the name of the blog, which tells you absolutely nothing about what the blog is about, but nonetheless its appearance in a blogroll signals something, a connection, a shared set of interests - that’s how we browse the colossal library that is the Web, where authorship still matters but is quite differently conceived. What an utterly fantastic question! And I really have no answer, other than to say that these reflections of yours got me thinking about Greg Egan’s ‘Mythocondrial Eve’ and whether one could trace this matrilineal line back to the first common ancestral story. So, he used brat before Defoe then? Can we find out for sure? They are, but I was struck by the tone of that statement, the uncritical allegiance it signalled. Most other universities treat the problem quite differently, focussing mostly on the integrity of the process and the importance of recognising the work of others - which may be window dressing, mind, but still as always I’m interested in the different rhetorical stance. Authoriety does have one advantage, though: it will direct bad spellers to my blog. And I like tripping people up like that. They are, but I was struck by the tone of that statement, the uncritical allegiance it signalled. For sure, it seems odd to couch the idea of plagiarism in terms of IP theft. I'd have thought it was more about internal standards of attribution and originality, than external legal positions. As an aside following on the utopian knowledge industry comments, it's worth stressing too how Barthes' essay - contra conservative caricatures of it - is more a programmatic, polemical intervention than an attempt at describing how things are. The - marvellous - last line ends by announcing that the old myths have to be overthrown "to give writing its future" and that "the birth of the reader must be at the cost of the death of the author." So this is a call to action and imagination and re-thinking literary relations as much as anything else, and is in continuity with his earlier Brechtian, activist criticism. That aspect of Barthes - so useful and illuminating for pondering the potential of blogging - is too often passed over. It's frustrating still to read (although, I hasten to add, not here!) silly summaries of that essay which think they can somehow discount it by attacking a position Barthes never advanced. Yes, and there is a lovely homage to Brecht in the eassay in the form of a very apposite image: the distancing of the author 'diminishing like a figurine at the far end of the literary stage' - yet not disappearing altogether. I wrote that his critique needs to be understood in the historical moment that produced it, but really you could come to it cold and it's still so very powerful and relevant. Abroad, but He the [H] Brat must own? The two examples I have so far (the above and Harris) both refer to anonymous or pseudonymous texts. Perhaps Defoe's usage was different, in that he applied it to all publications. But there are about 420 uses of 'brat' on EEBO between 1660-1704, and I've only glanced at a handful, so it's probably too early to make that inference. It's probably much like Newton's 'standing on the shoulders of giants', which was a common expression at the time, but it got pinned on to him because he attached it to something so consequential. The funny thing is that I was sitting in the British Library when I read Jolisa's comment. I then picked up Harris' book, started reading, and there was that quote. And I didn't just quote it to insinuate plagiarism on Defoe's part (there is, by the way, an extended discussion about accusations of plagiarism in the preface to Harris), but also because it ties quite neatly into some of the issues I mentioned on Public Address. It's interesting, really, how this discussion is taking place in so many places, with different audiences and parameters. From the town square of Public Address, Philip Matthew's single author/no comment blog, which stems from his columnist background, the little corner that David Cuichi's carved out for himself, to the weekly symposium at Bat, Bean, Beam. With of course all of the other blogs discussing it that I haven't read, plus the paper and ink stuff in the Harold and the Listener. It really is a case study in 'authoreity', I think. (Oh and in the comment from yesterday, 'lat' should be 'lay'). Oh and that [H] in the last quote shouldn't be there. I really must start proofreading things. Lowenthal goes on to claim that Picabia's reworkings of Nietzsche in his poetry do not constitute the kind of transformation mentioned above. A while ago I put up a couple of examples in my 'little corner' (a wonderful description!) here and here. Is Lowenthal, as I unkindly suggested, merely trying to enhance his reputation by the distateful method of reducing someone else's, or does he have a case? If the transformation he speaks of does render an unattributed source not plagiarism, what degree of transformation is needed? but also because it ties quite neatly into some of the issues I mentioned on Public Address. That was a great comment you made over there, I meant to bring it up in the post - it must be read in its entirety here. Very interesting, David, thank you. Personally I'd call the Picabia poems more derivative than plagiaristic, from the examples provided. Hell, if any author who used the phrase 'beautiful monster' was headed for the pulping machine, we might as well stop printing books. And Nietzsche, of all people... How do you get away from him? Foucault talked about the author-function of Freud and Marx as having established endless possibilities of discourse, but one might well say the same of Nietzsche's. 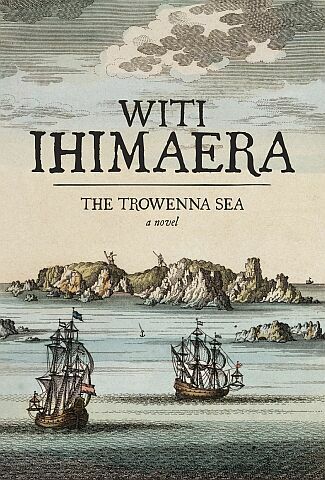 In the meantime Ihimaera has decided to buy back the copies of The Trowenna Sea in circulation. I agree with Jolisa that it's a welcome outcome. I should probably mention that the Nietzsche poetry that Picabia reworked in those examples is from the prologue to The gay science. If you read only one Nietzsche book, that's the one to go for. The Walter Kaufmann translation. Normally with historic fiction what you get is a piece of work where history is treated as fiction. But with The Trowenna Sea, I have always tried to be on the cutting edge of fictional devices, what I have been attempting to do with that book is to create fiction as history. So I think what Trowenna Sea is, is the beginning of a hybrid book in which [you have] the problematics of acknowledgement of historical material and historical inspirations. Where you have non fiction writers traversing that area then they can use footnotes but fiction writers can't so I am having to try to figure out creative ways of addressing that and I think that what we will end up with is in fact a very, very exciting new approach to creating a framework to those new fictions. I find the idea that he was conscious of these issues all along, and just lacked the means to address them creatively, a little hard to accept. Surely "complete failure to acknowledge" doesn't come close to being a creative solution of any kind. This is all being discussed over at Jolisa's place. Also of possible interest, in relation to authoriety and the Web: John Hurrell over at eyeCONTACT reiterates his naming policy for blog forum contributors. "From now on, surnames and Christian names are essential." It's not the only blog that requires that, but given its subject matter - the contemporary art world - and how it ties in with David's reflections on authorship in that domain, I find it quite pertinent. I shall be contributing there as "Cary Grant". it must be read in its entirety here. I'm all for postmodern approaches to authorship and stuff, but you might want to check that link. Mmmhhh... how did that happen? Here's the link. "You reject students' essays for doing this and you fail them in exams for doing it. "It makes you wonder what the title of a distinguished professor means in the University of Auckland if they then say what Witi Ihimaera has done doesn't matter." It's really like saying 'well yes I did steal from 16 people but I only took a dollar from each'," he told Radio New Zealand. "You haven't harmed them much, but you've harmed yourself enormously." Tsk tsk, Giovanni. Whatever happened to Cary Grant? Scroll down for 'In praise of plagiarism'. Thank you David, very interesting programme. Loved this line: "There is no Marshall McLuhan, just a network of ideas that he plundered like crazy." Jolisa might be interested in the observation that plagiarism hunters historically have been a very poorly regarded group. ...or battle if you will, choice is care. wv; incesse, the continued swimming in cess. Oh and an acquaintance sent me this quote penned in a gift of said Bible. I have not published a book since. 12But beyond this, my son, be warned: the writing of (A)many books is endless, and excessive (B)devotion to books is wearying to the body. wv; bdochyp, a body implant for no real purpose. will learn, Computer Says No. to tear out this charnel's darnel-root. I got exactly none of the references. I am horrible at this!